Peculiar creatures are not unusual in the ocean and divers understand that, but recently a group of divers came upon an unexplainable mystery — a large blob the size of an elephant. After uploading a video of the find, the mystery was solved. Rocks balanced precariously on top of each other, known as PBRs, seem impervious to the effects of earthquakes and this has researchers curious. In studying PBRs in the vicinity of the San Andreas Fault, scientists hope to understand why and use that information to plan for future tremblors. Research on two known but unstudied species of frogs reveals they hold an unsual trait: not only are they poisonous, they have a delivery system, in the form of jagged spikes, to defend themselves. DSCOVR, a spacecraft nearly a million miles away, filmed Earth’s moon traversing planet Earth in a stunning time-lapse video. The contrast between the brilliant, colorful Earth and the muted lunar surface is breath-taking. The strange relationship between a parasitic wasp and an orb-weaving spider in Japan is the subject of study by scientists because the wasp makes the arachnid its zombie slave but no one knows how it works. A photography contest focusing on ecological subjects, run by BioMed Central and open only to researchers connected to research institutions, returned several stunning images. The winning images ranged from unique insects to endangered species to diverse rice varieties. A new satellite, the MSG-4, returned its first photo, a stunning image of weather on Earth with Africa as the main focus, featuring several cloud formations and a dusty pink continent. The satellite will be used to help scientists analyze weather on our Blue marble. Near Cusco, Peru, a tiny new frog species, sporting coloring that makes it look like an outlaw, was discovered. A recently discovered new species of peacock spider is gaining new attention in a viral video on youtube of the cutie pie dancing his mating ritual. The tiny, masked arachnid performs for his love, and the Internet audience, and could not be more adorable. Fossils belonging to an ancient and strange creature were uncovered in an equally strange location. Bones of an elasmosaur, an animal with paddlelike limbs and a very long neck, were found in the side of a mountain in Alaska. European Space Agency astronaut Samantha Cristoforetti enjoys another sunrise aboard the International Space Station. On June 6, 2015, she set a mission duration record for women in space. A 38-year-old Italian astronaut has broken the record for the most time in space on a single mission by a woman. And she still has a few more days until she is scheduled to return home to Earth. Samantha Cristoforetti set the record on Saturday (June 6) at 11:04 a.m. EDT (1504 GMT), surpassing the 194 days, 18 hours and 2 minutes logged by NASA astronaut Sunita “Suni” Williams onboard the International Space Station in June 2007. If Cristoforetti’s flight home on Thursday (June 11) proceeds as planned, she will have been in space for 199 days, 16 hours and 42 minutes in total — give or take a few minutes based on when her Soyuz spacecraft lands on the steppe of Kazakhstan. Astronaut Samantha Cristoforetti took this image from the ISS during New Year’s in space over Moscow. Flying for the European Space Agency (ESA), Cristoforetti launched with two crewmates — Anton Shkaplerov of the Russian federal space agency Roscosmos and astronaut Terry Virts of NASA – on Nov. 23, 2014 from the Baikonur Cosmodrome in Kazakhstan. They had been scheduled to depart the space station and return to the Earth on May 12 after spending 170 days in orbit. But the loss of a Russian cargo craft, Progress M-27M, in late April resulted in a delay. Russia postponed the launch of the next Soyuz crew to July and extended Cristoforetti’s and her crewmates’ stay on orbit as the investigation into the Progress failure continued. As a result, Cristoforetti not only set the women’s record, but also the record for the longest uninterrupted flight by an ESA astronaut. On Friday (June 5), her stay exceeded the 192 days, 18 hours and 58 minutes achieved by Dutch astronaut André Kuipers in July 2012. Cristoforetti, when she lands, will rank 74th in the world for the most time spent in space, out of the 538 women and men who have orbited the Earth to date. She is the 59th woman to fly in space. Samantha Cristoforetti poses with NASA astronaut Sunita “Suni” Williams in 2014. Cristoforetti broke Williams’ record for the most time in space on a single mission by a woman. By comparison, the overall record holder for the most time in space on one missionis Soviet-era cosmonaut Valery Polyakov, who logged 437 days, 17 hours and 58 minutes on Russia’s space station Mir in 1995. Polyakov was the third person in history to log a year (or more) off the planet on a single flight, of which there have been four in total, all Russian cosmonauts. Two of Cristoforetti’s crewmates, astronaut Scott Kelly of NASA and Roscosmos cosmonaut Mikhail Kornienko, are currently three months into the first yearlong expedition on the International Space Station. The longest duration achieved on multiple missions, more than two years, was logged by cosmonaut Sergei Krikalev over the course of his six missions. U.S. astronaut Peggy Whitson holds the cumulative female record for most time spent in space on multiple flights with 376 days and she is now training to launch on her third flight in March 2016. Cristoforetti has set more than duration records during her Expedition 42/43 stay on the station, a mission that ESA named “Futura.” The first Italian woman in space, she was also the first astronaut to sip from a freshly-brewed cup of espresso thanks to the orbital outpost’s new Italian coffee machine. Fisherman Says He Saw Bigfoot Bathing … And He Sent Us A Picture! One occupational hazard of reporting on unexplained phenomena: You can always count on waking up in the morning to find an email from someone swearing that they’ve just seen Bigfoot, the Loch Ness Monster, a hybrid human alien or a UFO on the moon. 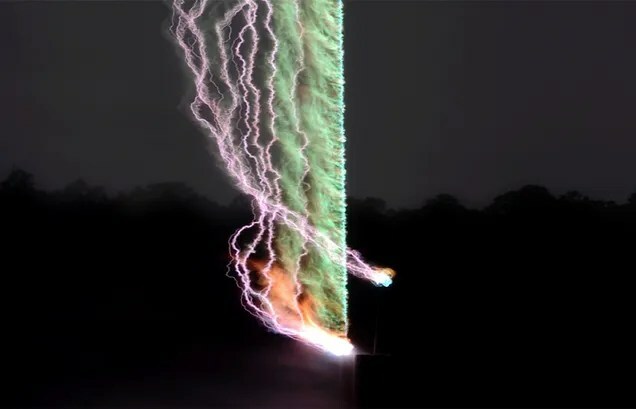 2015 began with a photo from John Rodriguez, a 66-year-old retired electrician, who claims that he was fishing Dec. 26 on the Hillsborough River near northeast Tampa, Florida, and came upon an incredible sight. Rodriguez claims to have seen and photographed — in a completely clear and non-blurry moment — that tall, hairy, elusive creature often reported in North America and other parts of the world that goes by many names: Bigfoot, Sasquatch, Yeti. In Florida, it’s known as the Swamp Ape or Skunk Ape (primarily from descriptions of an extremely pungent odor it supposedly gives off). Of course, the fact that the photo looks a little too crisp at some points, made us suspect it to be a fraud. Just look at the jagged line between the hairy beast and the water. That could be the work of a novice who just downloaded Photoshop for the first time. However, we’ve got some time to kill. And doesn’t this man deserve to be taken at his word? After all, wouldn’t finding Bigfoot be a great way to kick off 2015? 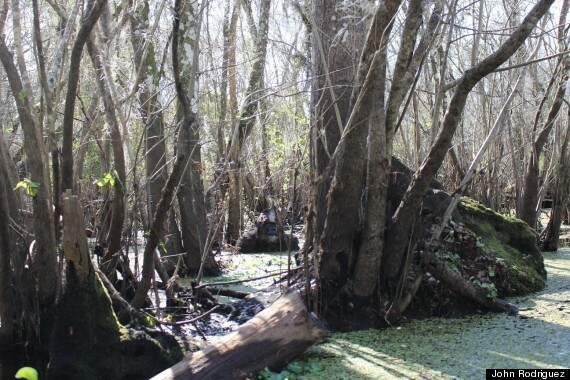 Rodriguez said he snapped the picture in the early afternoon at an area where the Hillsborough River becomes a cypress swamp. 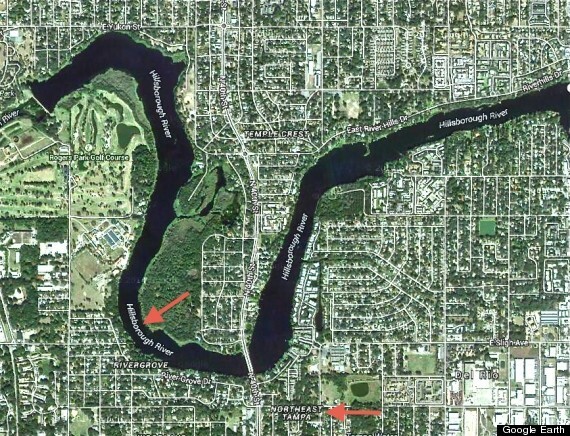 The map below shows a small section of the 59-mile-long river that flows through Florida, filled with wildlife preserves that include many not-so-friendly creatures, such as alligators, known to jump into canoes and attack unsuspecting humans. So, what are we to make of this fantastic tale? Did Rodriguez take the clearest, most definitive picture to date of Bigfoot? Not so fast, according to Ben Hansen, lead investigator of the Syfy Channel’s “Fact or Faked: Paranormal Files” series. Digital photographs use a format called EXIF data, which stores a lot of accessible information within each image — like shutter speed, if a flash was used, date and time of the image, etc. Hansen pointed out that the EXIF information of the Florida swamp creature picture suggests the image was digitally created on Dec. 26 with Photoshop. Since those details are extremely important when trying to research unexplained phenomena images, we asked Rodriguez about this. Rodriguez also said this debunking attitude is what caused him to initially hesitate sending the original picture to HuffPost. The belief in mythological animals might be as old as humanity itself. Nearly every culture’s folklore contains at least one imagined creature in its folklore that has no place in modern science. It’s easy to imagine how, in the days when much of the planet had yet to be explored and catalogued, you might have reasonably believed in the existence of any of these beasts. But in the present day, when every square mile of the earth’s surface has been photographed by satellites, and scientists have identified 1.3 million species (with mostly plants, tiny animals and microbes remaining to be found), how could you still believe in a lumbering, seven-foot-tall ape, hiding out in one of the most well-studied countries on the planet? When dealing with reports and discussions about things like Bigfoot, UFOs, lake monsters, ghosts, etc., there’s always a fine line walked by those who make the claims and the skeptics or outright debunkers who do their best to make the stories go away. In the most literal sense, that’s the nature of the beast — especially where large, hairy creatures are involved. 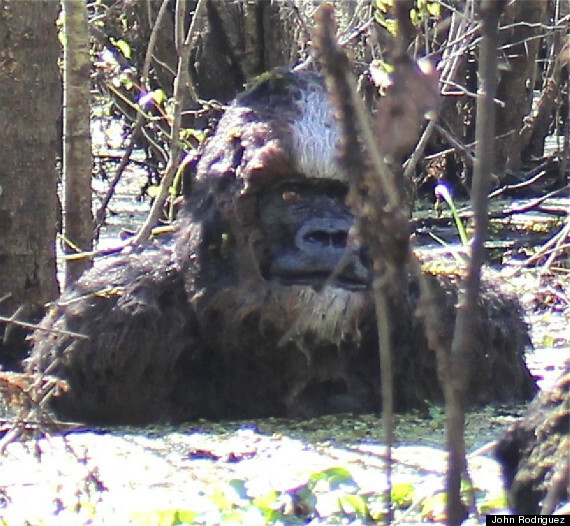 Hansen brings up another item about this current alleged Skunk Ape sighting near Tampa. Par for the course, these stories produce strong opposing points of view. And still, one clear photograph of something that may or may not be a real Bigfoot is not definitive proof that the creature exists, the way DNA evidence — or an actual body — would be. We still, apparently, don’t have either of those things yet. An artist’s concept showing the Wide-field Infrared Survey Explorer, or WISE spacecraft, in its orbit around Earth. Theoretical physicist and mathematician Freeman Dyson first proposed the idea that advanced alien civilizations might develop technology to encircle a star and harvest most of its power, a structure now known as a Dyson sphere. If these objects do exist, astronomers might be able to detect the waste heat they produce using telescopes that peer into space using infrared light. Now, astronomers at Pennsylvania State University are starting to narrow the search for Dyson spheres. But the search has only just begun, and may take hundreds of years, Dyson said. Finding Dyson spheres isn’t inevitable, but “it’s certainly possible,” he said. 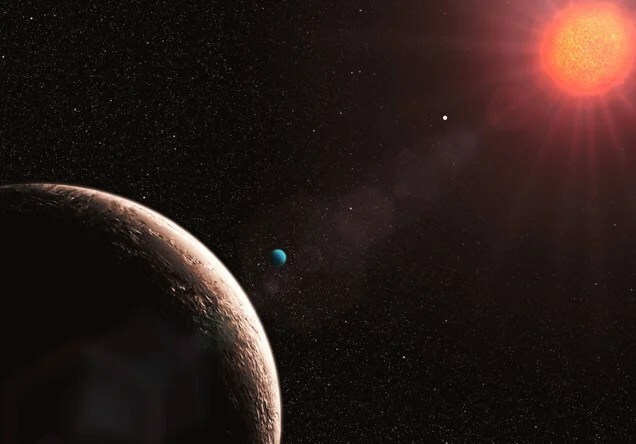 Much of the search for extraterrestrial intelligence (SETI) effort has focused on listening for radio signals sent by an intelligent civilization, as depicted in the movie “Contact.” But this approach assumes the aliens want to communicate with humans. Dyson spheres get around this problem, because even a civilization that wasn’t actively trying to communicate with others would give off waste heat. Russian astrophysicist Nikolai Kardashev classified long-lived civilizations as one of three types: those that control the resources of a planet (Type I), of a star (Type II), or of a galaxy (Type III). A Dyson sphere represents a Type II civilization. An episode of “Star Trek: The Next Generation” depicts the starship Enterprise responding to a distress call from a transport ship that has crashed into the outer hull of a Dyson sphere. But Dyson himself never envisioned the structure as a solid sphere. “It doesn’t have to be a sphere at all,” Dyson said, “just any place where aliens happen to be generating a lot of energy.” He described his structure as an “artificial biosphere,” which could be a cloud of objects orbiting a star closely enough to absorb all the starlight. A solid sphere would be too weak to support its weight against the gravity of a stars. 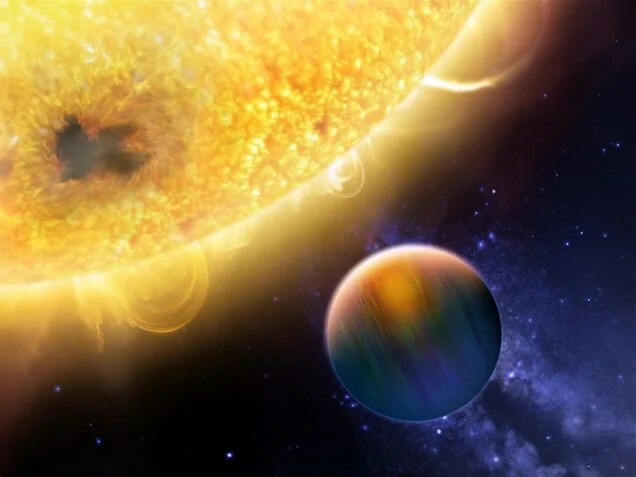 Dyson estimated that an alien civilization with a surface temperature around 80 degrees Fahrenheit (27 degrees Celsius) would emit infrared radiation at a wavelength of around 10 microns. Earth’s atmosphere emits a lot of radiation in this region, so a telescope located in space would work best. But the necessary technology wasn’t available when Dyson proposed the idea. Then, in 1983, an international team launched the Infrared Astronomical Satellite (IRAS), the first observatory to image the entire sky in infrared light. “It turns out the sky is crawling with infrared sources,” Dyson said, but most of these are from galactic dust and other natural sources. More recently, Richard Carrigan, now a scientist emeritus at Fermilab near Batavia, Ill., used IRAS to look for Dyson spheres. “By the time I got to it, there had been a nice history of people trying, but not on a systematic scale,” Carrigan said. Dyson sphere galaxiesCarrigan measured the infrared spectra using IRAS’s spectrometer, but found only a few objects within several hundred light-years of Earth that could be Dyson spheres. (One light-year is about 5.9 trillion miles, or 9.5 trillion kilometers.) He and his colleagues used the SETI Institute’s Allen Array to listen for radio signals emanating from these objects, but found none. What if alien civilizations have developed Dyson spheres that use the energy from entire galaxies? Carrigan tried searching for Dyson sphere galaxies, because those would be easiest to detect. Now, Jason Wright, an astrophysicist at Pennsylvania State University, is doing the same thing, using the Wide-Field Infrared Survey Explorer (WISE) space telescope. “WISE was launched by NASA for pure, natural astrophysics,” Wright said — “it just happened to be perfect Dyson sphere finder.” If a Dyson sphere galaxy were giving off mid-infrared, it would be “boomingly bright,” Wright said. Wright and his colleagues found no evidence of Dyson spheres that block out 50 to 100 percent of their galaxy’s light. Now, his team is trying to narrow down the fraction of a galaxy that could be contained by Dyson spheres even further: “We think we can get down to 20 to 30 percent with the WISE satellite itself,” he said. 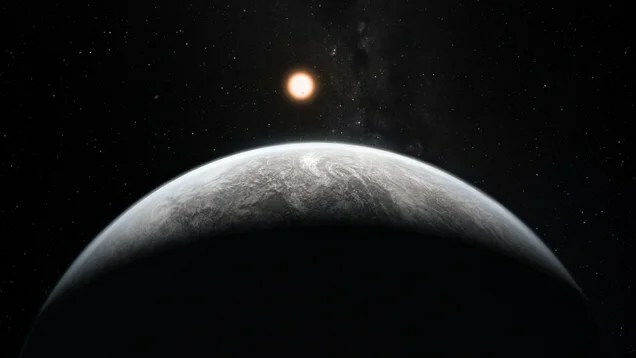 The team plans to follow up on the best Dyson sphere candidates with other telescopes, and go on to look for Dyson spheres around individual stars. 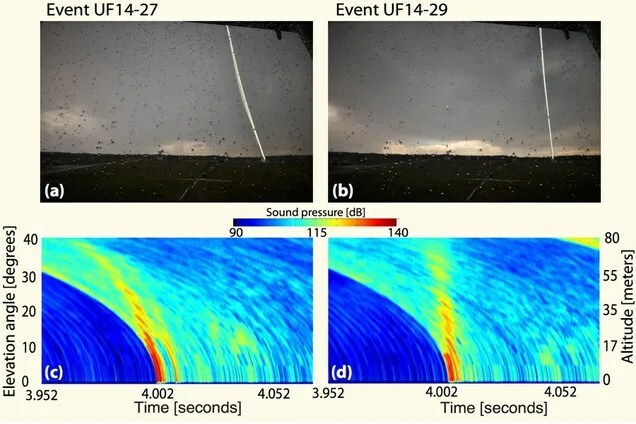 Another idea that Dyson himself proposed, but which astronomers haven’t tried, is to look for “skid marks” on the sky from spacecraft slowing down from speeds close to the speed of light. These could create long streaks of ionized gas that might be visible to some telescopes, Dyson said. 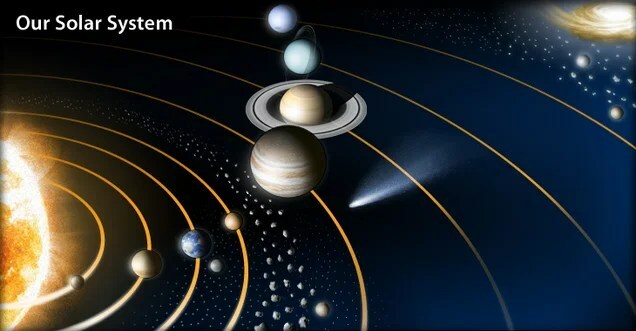 If astronomers do find hints of Dyson spheres or other extraterrestrial technology, it would trigger a worldwide effort to look at them using different astronomical instruments. Even if scientists don’t find alien civilizations, the search could discover interesting new physics. Engineer Ken Roy envisions someday encasing small planets inside artificial shells to retain their atmosphere and provide an Earth-like environment. 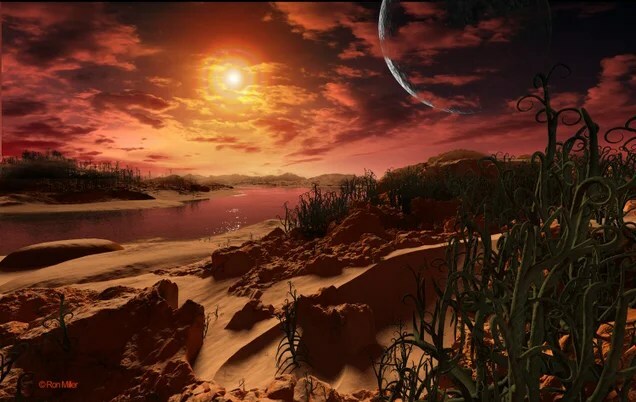 This could provide a shortcut for terraforming, the process of redesigning a planet’s surface to be more hospitable for human habitation. Lighting would be artificial since the shell could not admit sunlight. Heavy industry would be located on the outside of the shell, in the vacuum of space. Airlocks in the shell would allow spaceships to enter and land.